Katie Reid is an accomplished performer nearing the end of her final year at WAAPA, completing a Bachelor of Contemporary Music with Honours. Although born in Scotland, Katie grew up Sydney where her love of music developed through her singing and piano, guitar and ukulele playing. She performed there regularly in a variety of settings, developing her own style and sound, prior to her move to Perth in 2014. 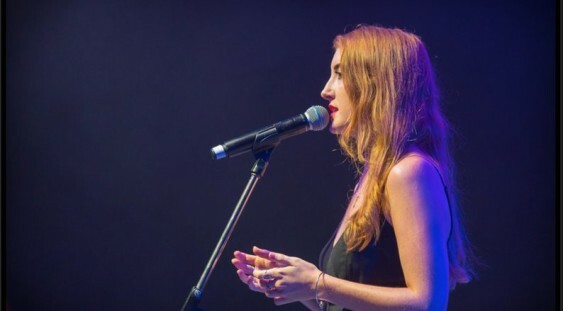 Katie has had the honour of performing with artists Christine Anu, Melonie Daniels-Walker, rappers Drapht and Coin Banks and representing WAAPA at Telethon in 2016. Katie’s recital will encompass all that she has learned and been influenced by in her 4 years at WAAPA. Her performance will incorporate an eclectic array of music from artists such as Kate Bush, Lianne La Havas and Hiatus Kaiyote and others who have been influential in her continuing development as well as a representation from her own body of original work. Katie’s recital promises to be a memorable evening highlighting her vocal range, unique style and burgeoning talent in Perth’s iconic Ellington Club. If a show is not sold out, then patrons are welcome to stay for the following recital without purchasing another bar ticket, however the tables will always turn over after each recital (unless you have purchased a ticket for the entire night, then you can retain the same table all night).